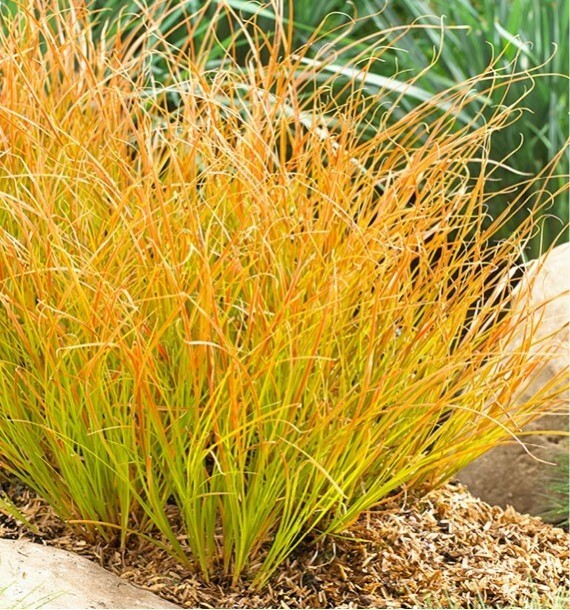 Carex Prairie Fire Sedge is a wonderful evergreen ornamental grass that creates a fiery display of colour in beds, borders and patio planters. Its upright, slender, green-bronze foliage is tipped with contrasting orange highlights. In full sun this deep orange coloring intensifies, creating a dramatic look that blends well with hot-coloured perennials and yellow-green shrubs. This colour will persist through most of the winter. A native of New Zealand, it does best in moist, well-drained soil, but will adapt to drier conditions once established. Its size and upright habit make a great focal point in mixed containers. 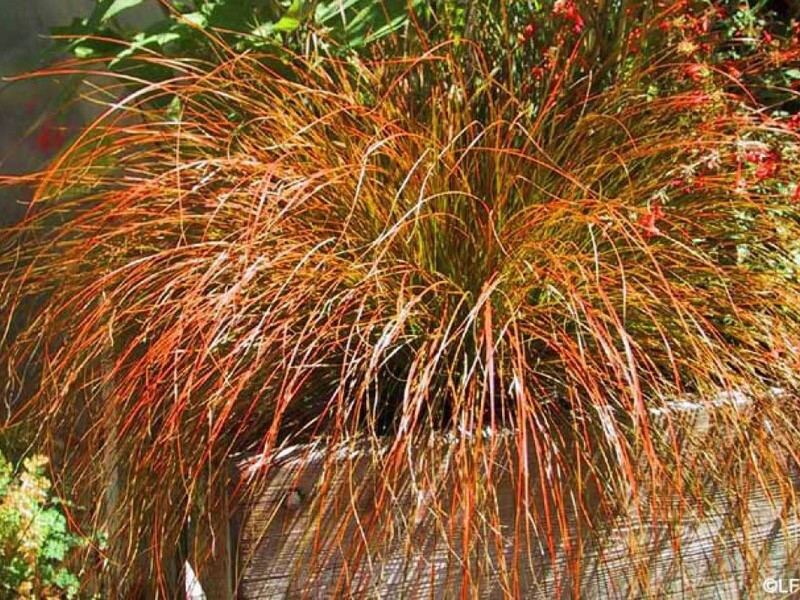 These Prairie Fires Carex Grasses are supplied in approx 1 litre containers.